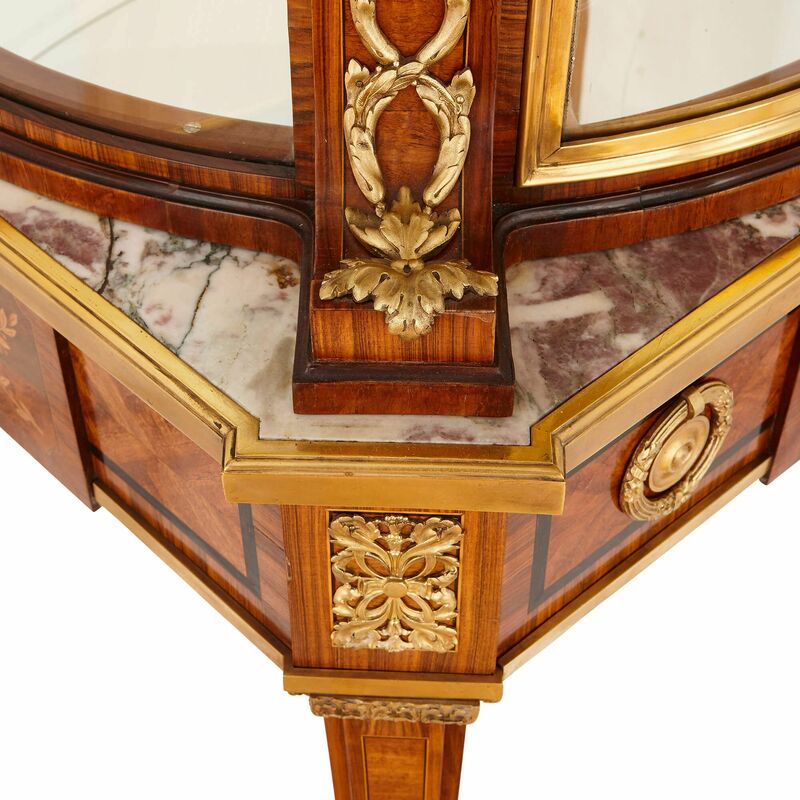 This stunning rare marquetry vitrine table is a true statement piece, designed to be placed in the centre of a room and viewed from all angles. 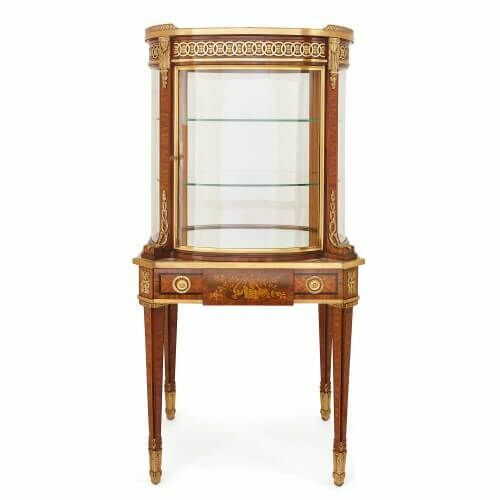 Though it takes an unusual form, this vitrine table is a stylish piece of furniture and well-suited to a grand and luxurious interior, whether antique or contemporary. 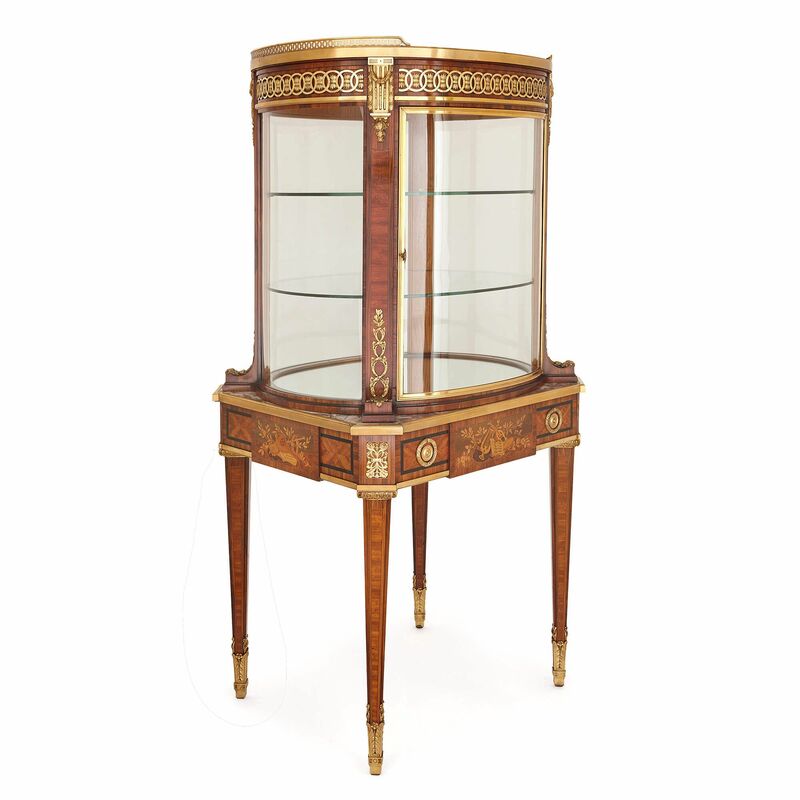 It is formed as an oval-shaped display cabinet on a marble-topped marquetry table, and because every side of the cabinet is glazed, its contents can be viewed from all angles. 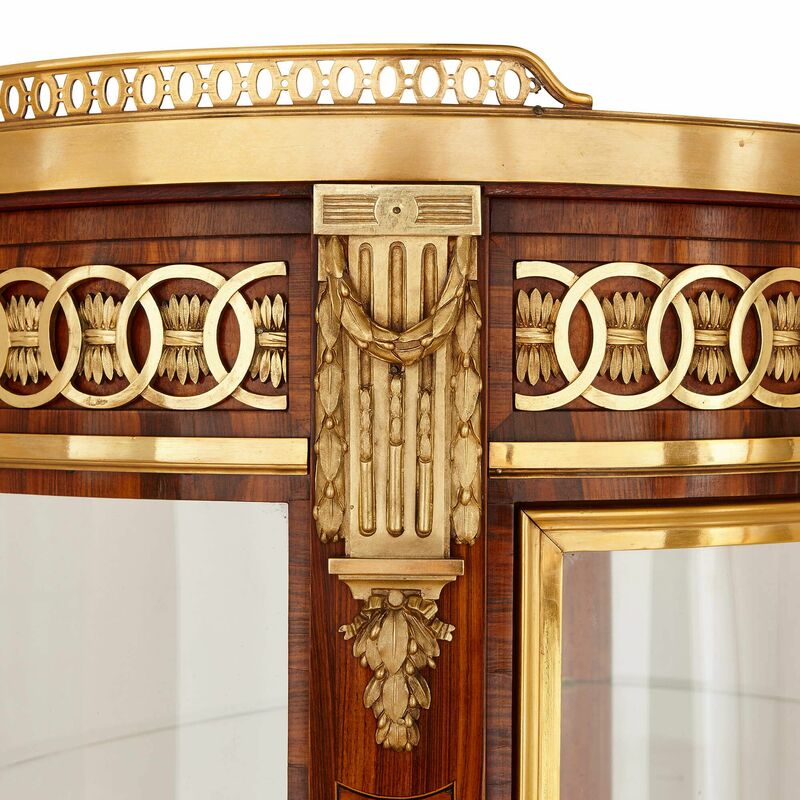 The cabinet has four curved sides, the front of which is a lockable door, and the panels are separated by wooden columns, each of which is mounted with ormolu ribbons, laurel wreaths and acanthus leaves. The front door opens to reveal two glass shelves and a mirrored base. 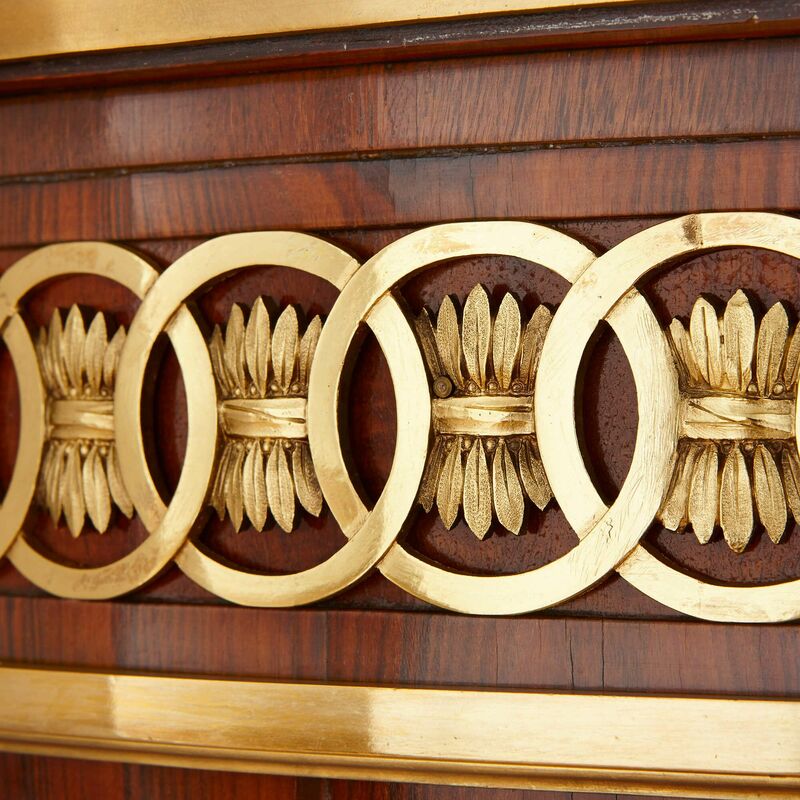 At the top of the cabinet there is an ormolu frieze of interlocking ring motifs, with a pierced ormolu gallery above. 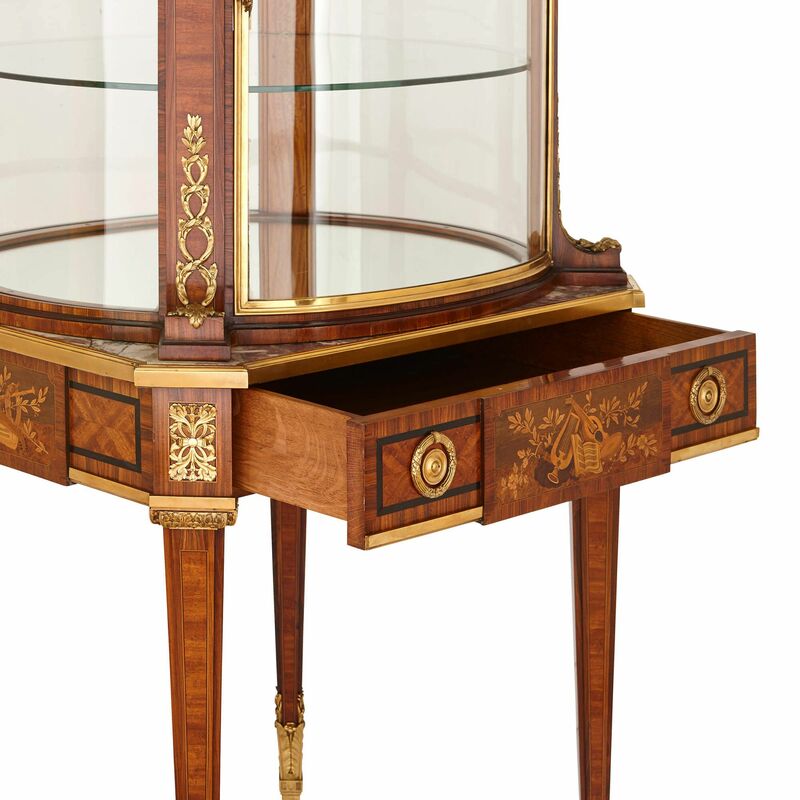 The upper display cabinet is mounted onto a marble-topped rectangular table, decorated with four exceptional-quality marquetry friezes around each of its sides. 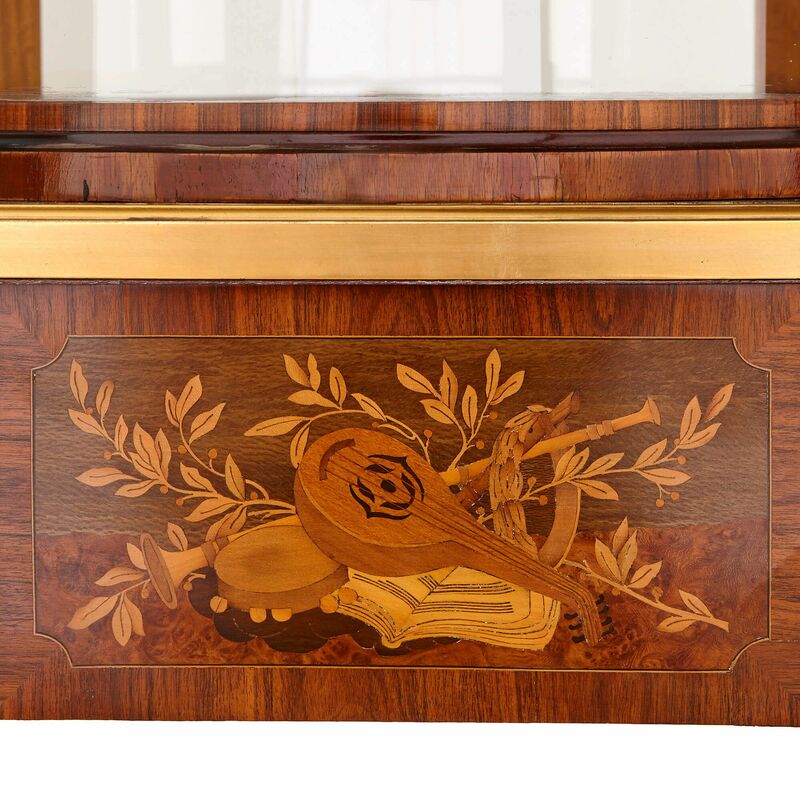 The marquetry panels show musical instruments, leaves and books in astonishing detail, with the front marquetry frieze opening as a drawer. The piece stands on four tapered, ormolu-mounted legs, terminating with finely detailed ormolu sabot feet.